Born in New York, and arriving in Paris by way of Los Angeles in 1990, Jennifer has been calling the City of Lights home for over 25 years. Founder of CAELO YOGA, a Certified Jivamukti & Vinyasa yoga instructor and entrepreneur, prior to leaving the corporate world in 2007, Jennifer led a 17-year career as an international marketing executive. Along the way and prior to opening CAELO YOGA Paris in January 2016, she also founded and operated an international wine company focused on small-producer, biodynamic French wines. A life-long spiritual seeker with a zest for living, yoga entered her life in Paris in the late 1990’s as she searched for relief from chronic insomnia stemming from the pressures of her corporate career and life as a big city-dwelling, single mother. Finding a class in Paris at the time was a challenge but the first few Hatha classes at a local gym, led swiftly to the discovery of Vinyasa and thereafter to Jivamukti Yoga when she returned to work in NYC for 2 years in 2003. But it was really during her time in teacher trainings studying the fullness of yoga, that she realized how present yoga had always been in her life – and that it had in fact preceded the physical practice of asana by decades, through so many of her earliest influences as a teen from Paramahansa Yogananada & Ralph Waldo Emerson to Pema Chodron, Sogyal Rinpoche and others. With Jennifer East & West coast and European influences, along with both American and Mexican family origins, merge and give rise to a desire to create an atmosphere and an experience of yoga that generates warmth, sharing, connection, joy and love for students – like a family. While running CAELO YOGA and teaching play an important part in Jennifer’s life she considers herself above all to be a devoted student and inquisitive traveler on the path of yoga, continually seeking to further open heart and mind to the teachings. She is forever grateful to All of her teachers and especially to Sharon Gannon & David Life, co-founders of Jivamukti Yoga and to Rima Rabbath and Moritz Ulrich for their guidance, support and inspiration. Jennifer holds an MBA focused on International Marketing & Environmental Management, a Bachelor’s Degree in International Relations and WSET Advanced Certification in International Wine & Spirits. 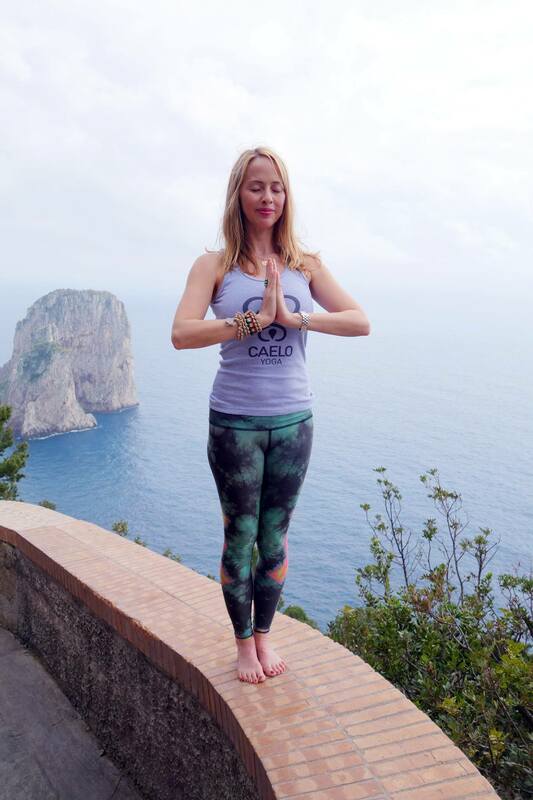 CAELO YOGA is the result of Jennifer’s desire to share her strong belief that yoga has the power change lives – both collectively and individually and to bring about transformation, healing and a greater sense of unity amongst all sentient beings. Jennifer’s ultimate aim through CAELO YOGA is for every student to be supported on their own yogic journey and through this to connect with a greater sense of their own unique gifts, path and purpose in this life that comes through Self-realization. Whether it is in her own classes or those of her incredibly talented team of teachers, she hopes that each student’s advancement on the path of Yoga will enable them to find a greater measure of peace and well-being within their own lives, while simultaneously realizing their unique ability to positively impact the lives of others. More about Jennifer & the CAELO story.